They're all super pretty, especially the leather one ! 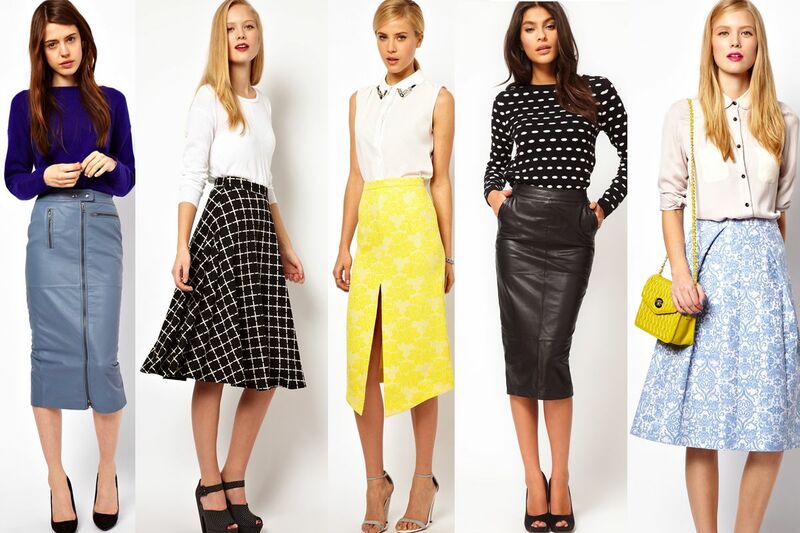 Love the lemon skirt- so pretty! Definitely inspired to go midi for spring. I've been wanting to try wearing a midi-length skirt for some time now, but I'm still working on styling it. I'm 5'7 with long legs and a short torso. The torso part is what throws me off when pairing.What has worked so far is a long-ish blazer belted over a midi-pencil skirt. Any suggestions, Delmy? gorgeous skirts !! wish i could have them all. i love that black leather pencil skirt, it's perfect! Love the yellow skirt so much, wowwwwwwwww.